The post 6 Ways to Boost Your Blog Traffic in the New Year appeared first on ProBlogger. This post is based on Episode 177 of the ProBlogger podcast. Did your blog have a bit of a holiday slump? 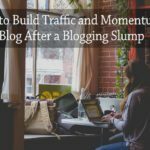 Many bloggers find they lose momentum with their traffic in January. So if it happened to you, you’re not alone. Your readers were probably online less than usual. A lot of my fellow Aussie bloggers struggle at this time of year because their readers are enjoying the beach or off on vacation. You may have taken some time away from blogging as well to spend time with friends and family. But now you’re back at your desk, and want to start working on your blog in earnest. Today, we’ll be looking at six things you can do to boost your traffic and get it back to where it was (or perhaps even higher). Head to BuzzSumo.com and type in your URL. You’ll discover what content from your site was shared the most during the previous year. Maybe you could turn a blog post into a video or a SlideShare presentation. Perhaps it could even become a podcast. If something’s been shared a lot as a blog post, and you repurpose it into another type of content, chances are the new version will be shared a lot too. 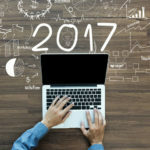 Another question to ask is, “Could I update this?” Perhaps you could do a second post with a fresh take on that topic for the new year. 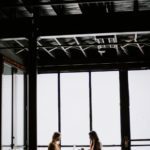 You could also ask yourself, “How could I apply this format to a new topic?” For instance, on Digital Photography School posts such as “21 Mistakes that Wedding Photographers Make” always do well. A post like that could be repurposed for a different part of our audience. How about “21 Mistakes that Travel Photographers Make”, for instance, or “21 Mistakes that Portrait Photographers Make”? 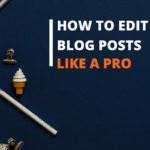 Other options are to do a roundup post (where you link to other people’s content on the topic, as well as your own), or even interview influencers in your niche about that topic. With these posts we choose one of our categories (e.g. “landscape photography”) and put together a 5,000–7,000-word post that covers the area in depth. They take a lot of time and effort, but they get shared a lot. Along with the post, we normally create an email opt-in where readers can enter their email address to get a downloadable version of the post. So these posts also help us grow our email list. To make the most of the time you invest in creating mega posts, you might also want to turn them into an autoresponder series or a free online course. You could also repurpose the content for SlideShare or for videos. Another great way to build momentum is to run some kind of event or project on your site. An ongoing series of blog posts – particularly one that addresses a core problem your readers want to tackle or a goal they want to reach – can really build excitement and anticipation. Announce the series to your readers, and explain what’s coming up. This gives them a reason to subscribe and keep coming back to your blog. You might even want to build some sort of challenge into your series. This gets your readers not just reading your content but also taking some action. I first did this with the “31 Days to Build a Better Blog” series, which gave readers a little bit of homework each day. Getting readers to engage and participate can really build a sense of energy around your blog. And it can help you grow your traffic a lot. During the series, you may want to publish content more frequently than usual. When I ran the “Find Your Blogging Groove Challenge” on the ProBlogger podcast, I did a week of daily shows (instead of publishing two shows a week). Each day there was a little bit of teaching and a challenge. This resulted in a huge increase to our download numbers during that week. And even when I returned to the normal frequency, the numbers were still higher than they were beforehand. 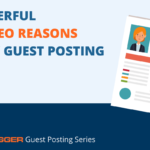 You’ve probably come across the idea of “guest blogging” before. But guest content can encompass a lot more than just blog posts (though those are still well worth doing). Answering questions in Facebook groups relevant to your blog (without spamming or being overly self-promotional). People in the group will see how useful your answers are, and this will naturally drive traffic to your site. Taking part in an organised Twitter chat, perhaps as a guest or the main interviewee. With all of these, you’re adding value to someone else’s blog or podcast. And in return you get to borrow their audience and profile. You can find more about these ideas and others in Episode 37 of the ProBlogger podcast. Sometimes our traffic drops off because our email list activity has also dropped off. If you haven’t sent an email to your list recently (or you’ve only been sending promotional emails), send them something useful. For example, you could answer some frequently asked questions you get. Or you could write a short article that tackles a particular problem your readers may have. Another good thing to do here is to update your autoresponder sequence (a sequence of emails that go out automatically to new subscribers). They can easily become dated over time, and refreshing them to highlight your best recent content can really help drive traffic. You can learn more about autoresponders in Episode 70 of the podcast. Name something big you want to attack as a community, and announce it to your readers. I’m not suggesting you pick a fight with another person, or that you pick a fight for the sake of being controversial. Instead, choose something you’re going to be passionate about during the next few weeks or months. Something you want to take a stand on. It might be tied in with a series of posts you’re writing. For instance, I was talking to a blogger who writes about fashion for mums, and she’d decided to write a post each month on the topic of body image to help readers think more positively about it. Fights can be positive. By giving your readers something to rally around, something to believe in, you can really build momentum on your site. Any one of these things could get your traffic out of a slump. And if you can do several of them, you’ll hopefully give your site a real boost, creating energy and anticipation among your readers. If you try any of these – or something else completely – to grow your traffic, leave a comment below to tell us how you got on.